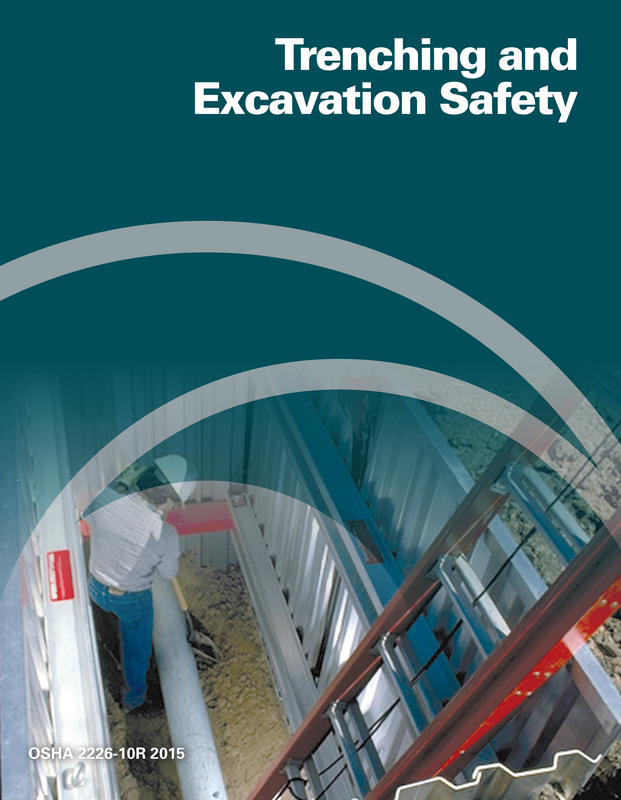 The federal Occupational Safety and Health Administration (OSHA, www.osha.ogv) is implementing education programs, enforcement processes, and compliance resources to help reverse the recent trend of fatal trench cave-ins across the construction industry and built environment. The U.S. Bureau of Labor Statistics (BLS, www.bls.gov) reports that trenching cave-in fatalities on construction sites increased from 18 deaths in 2015 to 33 deaths in 2016 — about doubling in one year! Further, The Center for Construction Research and Training (CPWR, www.cpwr.com) reports at least at least 21 trenching cave-in fatalities in 2017. The new initiative on trenching safety is starting with outreach. Both OSHA area offices and OSHA regional offices are providing compliance information to general contractors, construction managers, specialty contractors, industry associations, permit agencies and other stakeholders, as a part of the trenching safety education programs. OSHA 2226-10R 2015 Trenching and Excavation Safety recommends that contractors consider numerous interrelated safety factors such as soil classification, surface and ground water, location of the water table, and weather when bidding on a job, in order to perform the work safely and in compliance with OSHA standards. To protect workers from trenching cave-ins and subsequent fatalities, OSHA 2226-10R 2015 Trenching and Excavation Safety also explains how designing a protective system requires consideration of many factors, including: soil classiﬁcation, depth of cut, water content of soil, weather and climate, and other operations. Further, water accumulation from precipitation events — both low intensity and high intensity rain events and other precipitation events impact excavation safety. Accordingly, employers need to protect employees from water-related excavation hazards, as a result of water from weather events in an excavation. Under the OSHA 2226-10R 2015 Trenching and Excavation Safety standards, the competent person performs the following tasks to identify existing and predictable hazards: classify soil; inspect protective systems; design structural ramps; monitor water removal equipment; and, conduct site inspections. Inspect trenches following a rainstorm or other water intrusion. Inspect trenches after any occurrence that could have changed conditions in the trench. © 2018 Weather Build, Inc. All rights reserved. The WeatherBuild “W” logo and app icon, “WeatherBuild Solutions™”, “WeatherBuild Basic™”, “WeatherBuild Pro™”, “WeatherBuild API™”, and “Increase productivity. Enhance safety. Manage risk.™” are trademarks of Weather Build, Inc. All rights reserved in the United States and other countries.